Last year I couldn't find that photo I wanted of my Grampa in uniform. This year? My Grama was awesome enough to mail me some. 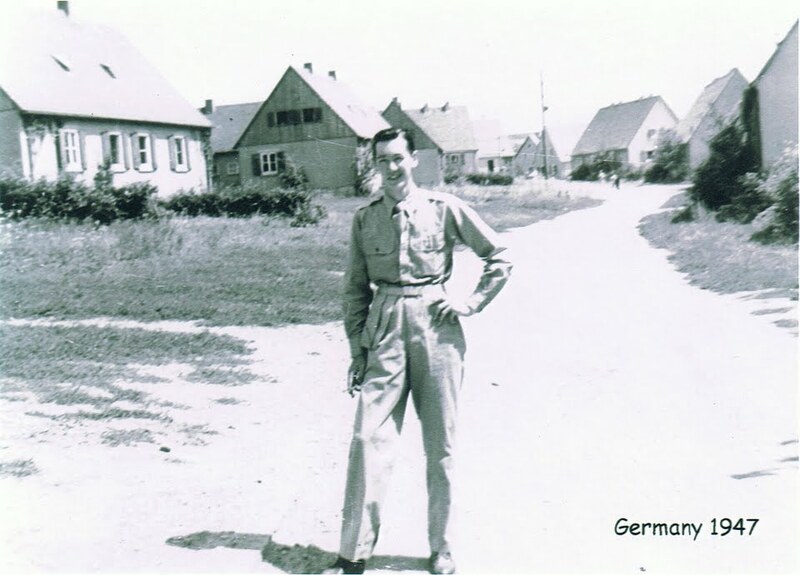 Here is my Grampa in 1947 in Germany. He was in the Air Force. Happy Veterans Day to all who have served - and still serve - our country.